UnZIP or UnRAR compressed *.iso file to any folder on your PC. Now use your DVD burner software like NERO to write this ISO to a DVD-R +R or RW disc. 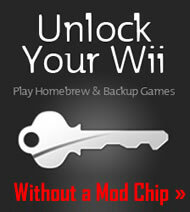 If you need a GOOD and FREE application for burning Wii ISO files we suggest ImgBurn. ImgBurn supports a wide range of image file formats - including BIN, DI, DVD, GI, IMG, ISO, MDS, NRG and PDI but we will be using it for Wii ISO files. 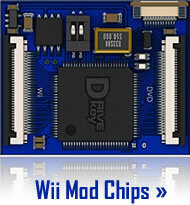 Remember that to play Wii ISOs on your console you need one of the Wii Mod Chips. 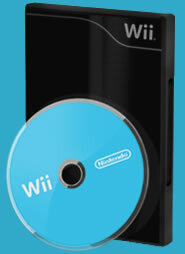 If you do not have a wii mod-chip installed the console will not recognize the copied DVD. 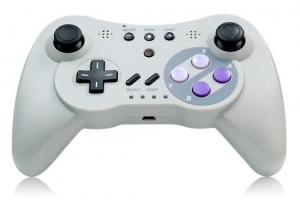 Crown3DS Nintendo 3DS game cartridge rom backup tool is the first real R4 3DS card that has a plan to be moved to mass production of R4 3DS flash cards for playing 3DS roms. So far N3DS Compatible flash cartridges like R4i Gold 3DS, SuperCard DSTWO or AceKard 3 that are can running DSi and NDS rom files, Homebrew, DivX, MP3s and Emulators on the new Nintendo 3DS, but can not run backup copies of the new 3D games. Read more about Nintendo 3DS Flash Cards. 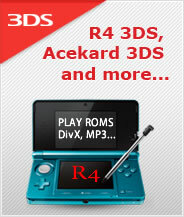 Buy at the Official R4DS DS.com Shop.